Birthdate: 7/17/80 Height: 6' 0" Weight: 195 lbs. Mike Leaty was born into a racing family. At the age of ten days old, Mike was in the grandstands watching his father, Jan Leaty, race. Today, some thirty years later, Mike and Jan race against each other on the same racetrack. At an early age, Mike knew that he wanted to be a racecar driver. He raced go-carts at a local racetrack and won numerous races from the age of 10-12. He then turned his attention to helping his father on his Nascar Modified team. From the age of 16-19 he was the tire changer and learned the ropes of Modified racing. 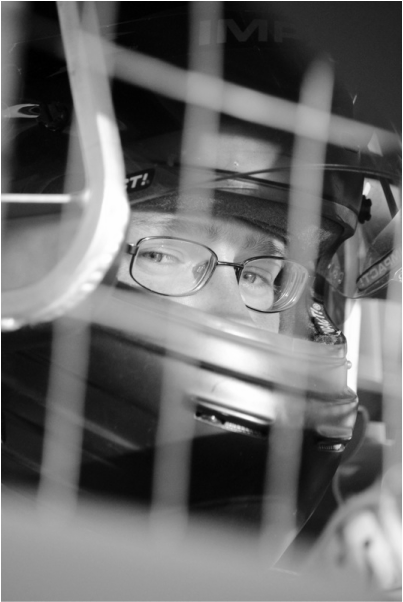 In 2000, at the age of 20, Mike decided it was time to start his driving career, and formed MPL Motorsports. At that time, it was just a one car street stock team. Today, just 12 short years later, Mike and his team have grown into a 3 car Modified operation. ​Mike started racing his street stock at the Spencer Speedway in Williamson, NY. He won a feature in his rookie season of racing and then followed that up the next season by winning 3 features and just missed winning the season championship. In 2002 Mike decided to move up to Spencer Speedways premier division, the Nascar Modifieds. It was the same division that his dad was racing in at the time, just at the local level. Once again, Mike impressed everyone by winning another race in his rookie season in this division and finished the season in the top 5 in points. From 2003 to 2005 Mike continued to successfully field a modified at Spencer Speedway. He also continued his winning ways by visiting victory lane 5 times and finishing in the top 3 in points every year. On occasion, when the finances would allow, Mike also ventured out to some other local speedways in the Buffalo, Rochester, and Oswego areas to gain more experience on other racetracks. This experience would prove to be very valuable in the years to come. In 2006, Mike was asked by a car owner at Spencer Speedway to drive his Nascar Modified. This was a huge opportunity because it would allow Mike to move his MPL Motorsports team up to the Race of Champions (RoC) Modified Tour and race against his father full time as well as still race full time at Spencer Speedway. This proved to be Mike’s most successful couple of seasons yet. In 2006 and 2007, Mike Leaty was the Spencer Speedway Modified champion. He was honored at the Nascar banquet in Las Vegas, NV for his accomplishments. He also won multiple races which currently places him in the top 12 all time in wins at Spencer Speedway at a very young age. 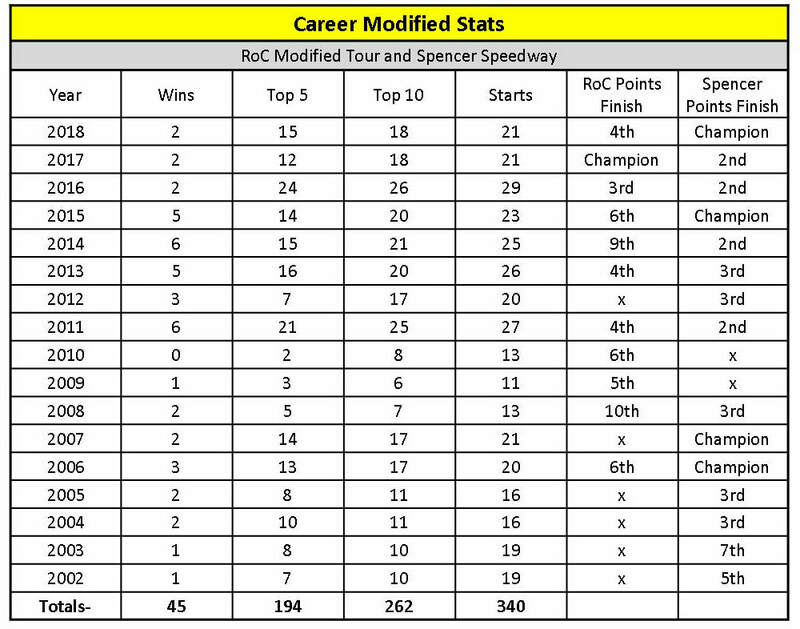 In addition to all the success at Spencer Speedway, Mike won a race in his first full season on the RoC tour. It just happened to be one of the biggest races for the Modifieds- “The Richie Evans Memorial 100” at the Oswego Speedway. In 2008 and 2009, Mike and his Leaty Racing team were fortunate enough to land the US Army sponsorship. It was then that they decided to no longer run locally at the Spencer Speedway and focus their attention on the RoC Modified tour. The tour races at tracks all over New York State and has the very best Modified drivers in the country competing in it. Mike was fortunate to win another tour race in 2009 and finish in the top 5 in the season ending points standings as well. From 2010 to 2016, L2 Autosport and Mike Leaty continued to run on the RoC Modified tour. In 2010, the Leatys expanded to a 2 car team. The 2nd car, the #07, is driven by Patrick Emerling and sponsored by Emerling Chevrolet. This allowed team sponsors to be featured on two cars and the team drivers to share vital set-up information. In 2011 Mike also returned to race at Spencer Speedway behind the wheel of the HJ Motorsports #1 sportsman modified. The two car team and racing weekly at Spencer has kept the Leatys very busy, but has also yielded great success. The 2017 season was an extra special one for the L2 Autosport team. Mike Leaty was able to bring home the first RoC modified tour Championship for the family. It was also the second consecutive title the L2 Autosport team has won as teammate Patrick won the championship in 2016. Coming off of back-to-back Championships, the L2 Autosport team is looking to keep the momentum rolling heading into 2018.